The Church Unity Octave, a forerunner of the Week of Prayer for Christian Unity, was developed by Servant of God Father Paul Wattson, SA, at Graymoor in Garrison, New York, and was first observed at Graymoor from January 18-25, 1908. Today, the Week of Prayer for Christian Unity invites the whole Christian community throughout the world to pray in communion with the prayer of Jesus “that they all may be one” (John 17:21). In 1966, the Faith and Order Commission of the World Council of Churches and the Vatican Secretariat (now Council) for Promoting Christian Unity began collaborating as a common international text for worldwide usage. 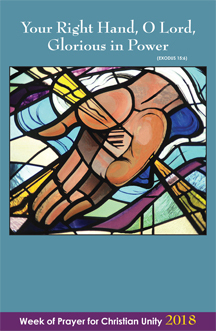 Since 1968 these international texts, which are based on themes proposed by ecumenical groups around the world, have been developed, adapted and published for use in the United States by the Graymoor Ecumenical & Interreligious Institute.